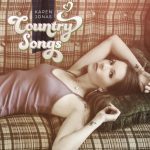 FTB Show #364 features the new album by Karen Jonas called Country Songs. Here’s the iTunes link to subscribe to the FTB podcasts. Direct link to listen now! Donate to keep FTB podcasts going via PayPal here! 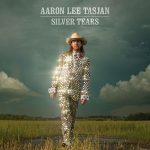 This entry was posted in Americana Music, Americana Music podcast, Music, podcast, roots music and tagged Aaron Lee Tasjan, Adrian & Meredith, Angie & The Deserters, Carey Ott, Clark Paterson, Dan Layus, Joe Rut, John McEuen, Karen Jonas, MANDOLIN ORANGE, Old Man Kelly, Taylor Alexander, Zach Schmidt. Bookmark the permalink. Hi Bill, I love the podcasts! Thank you so much for doing what you do.